Some characters are primarily vehicles by which a reader may experience the events of a story. 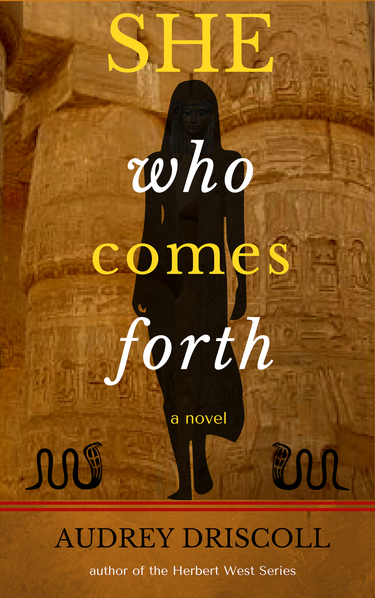 The character is a type — an amateur sleuth, a woman seeking romance, a young person on a perilous quest. Their physical characteristics and personalities may be specified, but they’re actually elaborate costumes. Readers climb in and they’re there — solving the mystery, finding romance, or surviving the perils of the quest. In other works of fiction, characters are equipped with complex personalities and backgrounds. Their needs and conflicts are not immediately evident. The reader must get to know them in order to discern their issues. It’s quite possible readers may not be able to identify with these characters; they may not even like them, but if the author has done the job right, the reader will find the character and his or her situation interesting enough to keep reading the book. The “wearable” character is generally associated with plot-driven genre fiction; the “get to know” protagonist is more often typical of character-driven literary fiction. Readers have different expectations for these character types; getting acquainted with the character before you know what might happen to them requires some tolerance for uncertainty on the reader’s part. Writers of literary fiction must make their stories sufficiently alluring to keep readers hanging out with their characters. I’m fairly sure authors don’t decide, as they begin writing a story or novel, which of these types of characters they will create for it. They usually do know whether they’re writing genre fiction or literary fiction. Characters evolve accordingly. It doesn’t have to be an either/or. Really well-written works feature complex characters and compelling plots. Readers decide unconsciously whether to become a character and ride their rollercoaster, or to observe and ponder the character’s dilemmas. The four novels of my Herbert West Series have five different narrators — six, actually, because Herbert West is quite a different person from Francis Dexter. Each of these people has his or her own style: Charles Milburn, diffident librarian; Andre Boudreau, amnesiac Acadian; Margaret Bellgarde, widow of the Great War; Herbert West, amoral scientist, who becomes Francis Dexter, wounded healer; Alma Halsey, disaffected journalist. And The Nexus, one of the short story supplements to the series, is narrated by eccentric professor and sometime occultist Professor Augustus Quarrington. I’m thinking all these different narrators may be somewhat disconcerting for readers who expect more uniformity among books within a series. And I’m sure not all readers have found it easy to slip into these characters and share their lives. Over the course of the series, however, they have a good selection from which to choose. The books include elements of different genres and of literary fiction. Some readers may find the fit a little uncomfortable. I am biased, of course, but I can honestly say no one who spends time with my characters will be harmed by the experience, and some may be entertained. Featured image created with Canva using free pictures from Unsplash and Pixabay. I actually remembered a thought that floated into my brain when I was in the shower this morning. Usually, these random ideas vanish by the time I’ve dried myself off, leaving behind at most a frustrating husk — now what was that great idea again? Lost forever, the thought is inevitably a priceless evidence of genius. This time, I bustled out of the bathroom, grabbed a pen, flipped open a notebook and wrote this: psychopomp & psychopath. Puns, etc. I started by thinking (as I often do) about the piece of writing I’m working on now, which is set in Egypt. I was mulling over the concept of the soul in ancient Egypt — a rather complex composite of the ka, the ba, the akh and some other bits and pieces. At this point, the brain skipped to psychopomp, which is not Egyptian but Greek, meaning “one who conducts the souls of the dead to the afterlife.” Then I got to thinking that “psychopomp” is a rather unwieldy word. (I see the spell-checker thinks it’s not a word at all). Someone unacquainted with it would probably focus on the “psycho” part and think of serial killers. But what’s a “pomp?” Pomp and circumstance? Or pompous? A serial killer who thinks he knows best? The main character of the 4-book series I have published becomes a psychopomp. Unfamiliar and weird, it’s useless as a keyword for book discovery. “Conductor of souls” is less mystifying, but may suggest a “soul train,” which would be totally misleading. In a short story I published recently, the psychopomp recognizes a psychopath — two, actually — which takes him onto a difficult path, indeed. A psycho-path? I could say more, but I won’t, in case anyone wants to read the story. To capture other, possibly more valuable shower thoughts, I think I’ll stash a notebook and a writing implement of some sort in the bathroom. That way I’ll have to hold the thought only until I finish toweling off. And if I get a notebook and pen designed to work in wet conditions, maybe not even that long. It will be interesting to see if the thoughts captured are of more significance than these. Reading the ebook on my ereader and making notes. I’m 2/3 of the way through. About 80% of the changes consist of deleting the word “that.” As in: “I made my way over to him, telling myself that I wasn’t all that tipsy.” See what I mean? So far I have 22 ereader pages of notes. Making the noted changes in the ebook’s base Word document. Copying that document and formatting it for print. I’ve blogged about that process already. Writing a brief plot description for the back cover. Ordering the print cover image from my cover designer once I know the final page number. Uploading the interior file and cover image to CreateSpace. Proofing, both online and by reading a printed proof copy. Making post-proofing corrections. (It would be great if this step wasn’t needed, but let’s be realistic). Re-proofing. By this stage the online options should be enough. Making final corrections, if necessary (better not be!) and re-uploading. Copying all the changes into the Kindle ebook base document. Uploading the corrected ebook docs to Smashwords and KDP. I’ve used good old Microsoft Paint to draw a number of alchemical symbols, which I’m hoping to use as glyphs on the interior title pages of Hunting the Phoenix. Glyphs are cool. There will be a small (but significant) adjustment to the cover image. Look for a cover reveal in a few weeks! By the way, I recently ran across something interesting by another WordPress blogger — a history of Herbert West, from his creation by H.P. Lovecraft to recent adaptations. Can you believe a musical version of the Re-Animator movie? Truth! 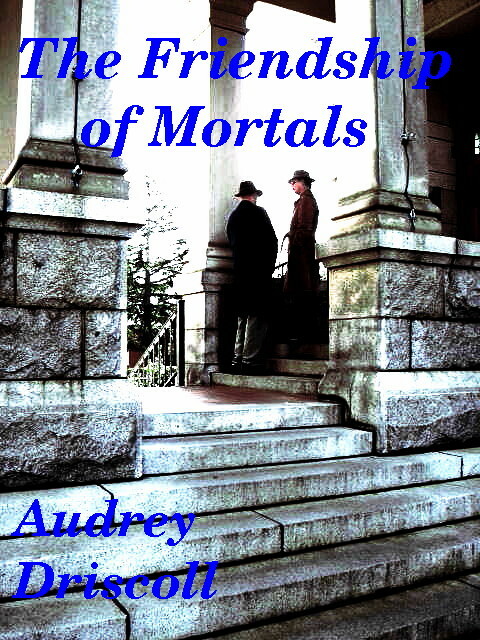 The post also includes a mention of my novel The Friendship of Mortals, complete with (for me) thrill-inducing comments. Credit for the image (Herbert and the unnamed narrator) goes to Tealin.